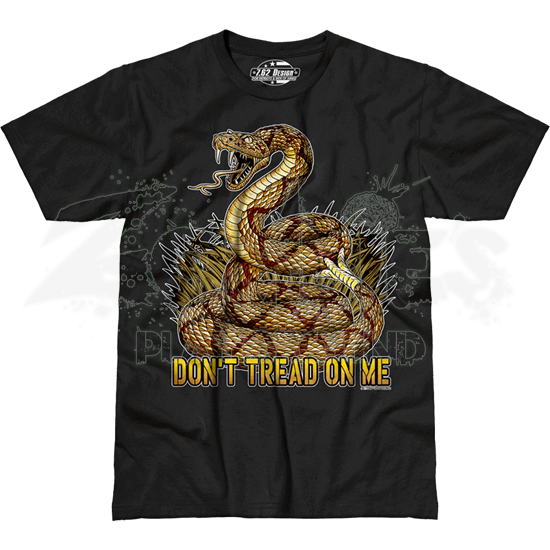 The Don't Tread On Me Premium T-Shirt is modeled after one of the earliest U.S. flags, one that is still in use today. The rattler warns early and wields deadly force, reminding others to tread lightly or suffer the consequences. This rattlesnake shirt features a detailed design of the snake curled in in the grass while its rattle vibrates in warning. The open mouth of the snake reveals a forked tongue and sharp fangs. 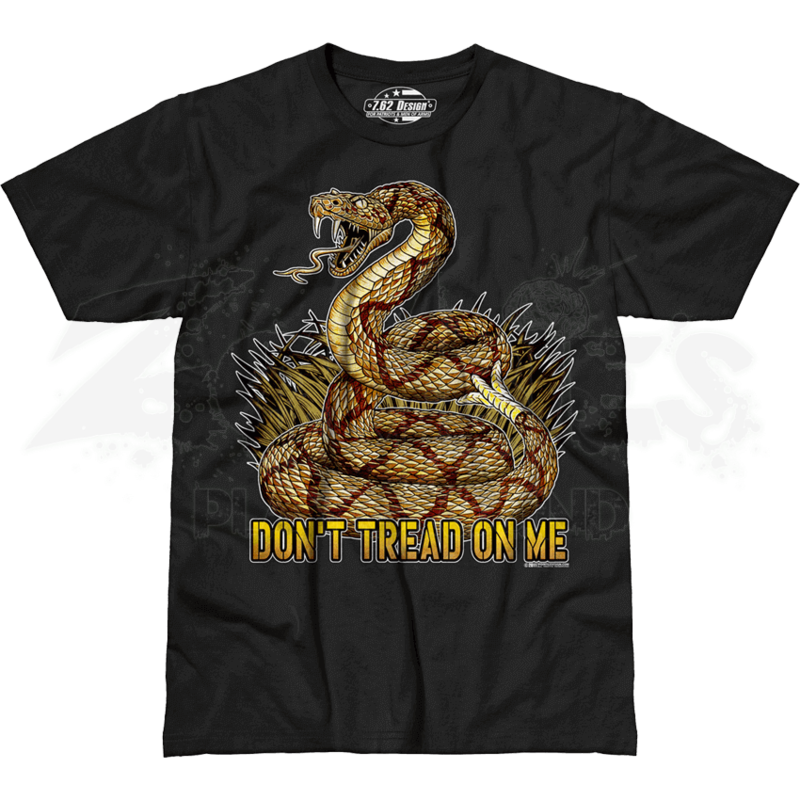 The words Dont Tread on Me appear beneath the rattlesnake. This patriotic shirt offers a reminder to all that one should always tread lightly and show respect or risk having to pay the penalty. Please be aware that this shirt is no longer available in brown.